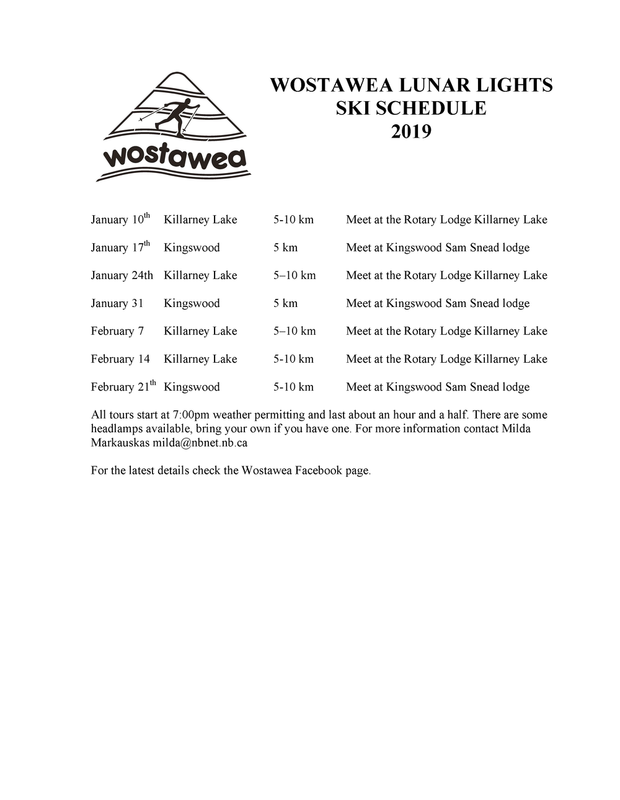 The club holds a number of guided lunar ski tours for members that are held over the season at the Killarney Lake Trails and the Wostawea Trails at the Kingswood Golf Course. These events are a great way to get out after work and ski with other Wostaweans under the moonlight. Please bring a headlamp if you own one. We look forward to seeing you on the lunar lit trails in 2019!